CPA carries a variety of Applied Materials components ranging from HiVac components to Magnets assemblies. These items are readily available and can be shipped out the same day ordered in most cases. The 4400 Series of RF Plasma systems for sputtering and etching reflect an advanced design concept based on a high capacity load lock that permits wafer loading without breaking vacuum in the process chamber. 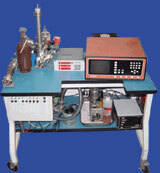 is an RF sputter system. 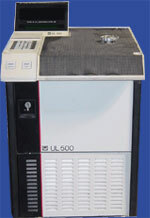 Features include an automatic pump down controller, a cryopump for an oil-free vacuum, and a 500 Watt RF power supply. It has three 8" sputter targets - Platinum, Titanium, and Aluminum - 2% Silicon.